The tomato is a beautiful thing. This heavy, juicy, racy-red orb is the epitome of rewards for a summer well spent in the garden. Amazingly, 93 percent of all home gardeners grow tomatoes in their many shapes and sizes. There are over 25,000 tomato varieties grown around the world, all revered for their taste, beauty and versatility. In the family of “-phyte” the tomato is related to the red pepper and the eggplant. Our August 2013 festival recipe celebrates this family affair by creating a mlange of these three in a delicious summer vegetable ratatouille. Rather than cooking them together in a pot, we roast them, which dehydrates and intensifies their flavor and health benefits and combines them in a way that is delicious, colorful and beautiful. There is so much good family history here, and lycopene is the common connector. All three of these vegetables contain important phytochemicals. Reaching back to the Greeks helps us to understand this term: the word “phyto” means plant, so combining it with “chemical” refers to compounds that are contained in the plant that play a significant role in nutrition. These compounds do not fall under the category of essential vitamins or minerals, but they do play a powerful role in our health and wellness. 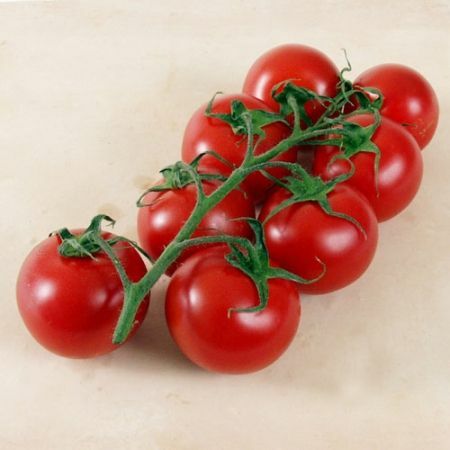 Lycopene is the most powerful antioxidant we know. It comes from the family tree of carotenoids, which give fruits and vegetables their bright colors. That is why you can be sure that, if the fruit or vegetable you are eating is colorful, it probably has a lineage of some great antioxidants and probably lycopene. Studies have shown that blood levels of lycopene are higher after eating cooked tomatoes versus fresh. This suggests that the absorption of lycopene is enhanced by heat. Thus the brilliance of this month’s recipe! The next highest lycopene containing vegetable to the tomato is its cousin the red pepper. Our recipe has a pedigree of antioxidants. After the tomato and red pepper, the third ingredient in our recipe is the eggplant, which is very high in the antioxidant chlorogenic acid. This compound protects plants from infection and stress and can help us with our cholesterol levels. What a delicious and nutritious combination of nearest and dearest. Add fresh wild halibut and you get a happy family reunion of flavor. Enjoy!